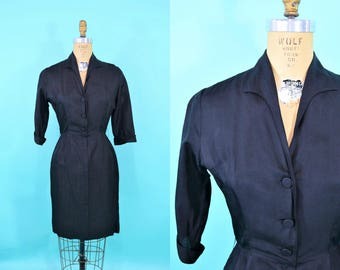 1950s wool vintage dress | navy blue fitted wool button down | W 26"
You'll be poised and confident and ready to rake in the most sales for the day/week/even the year in this lovely 1950s dress! 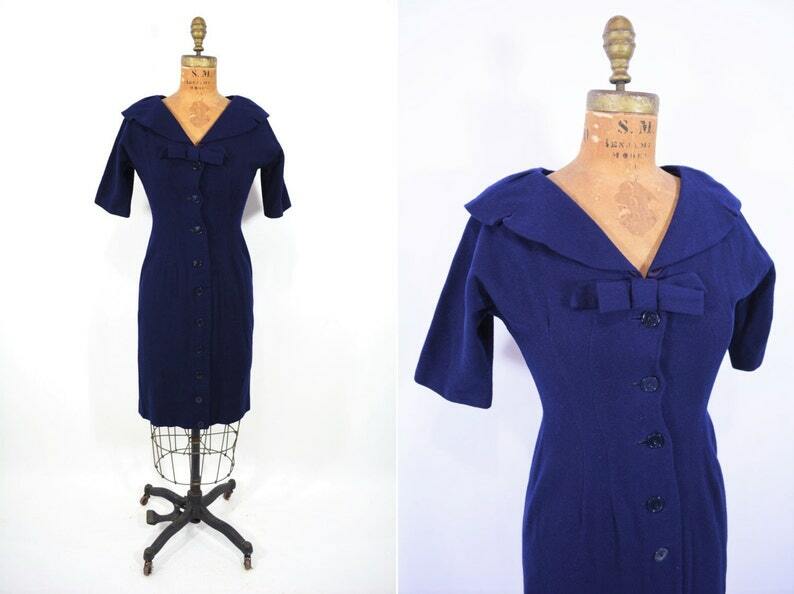 Dress has navy blue wool fabric, buttons down the front, has a large collar leading to a lovely bow, waist seaming and an undefined waist. 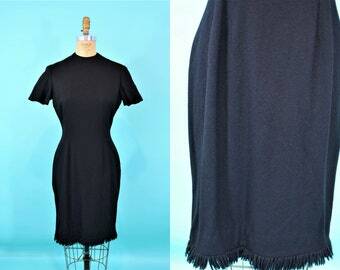 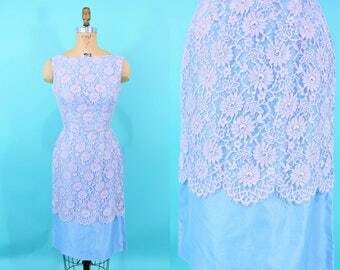 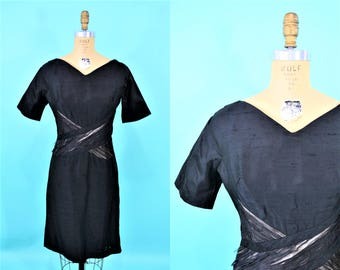 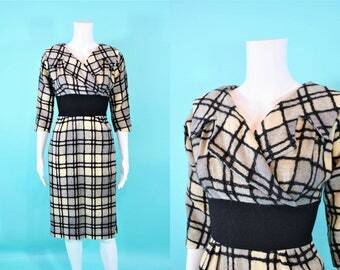 Vintage dress is unlined except for small bit of lining at the back collar. 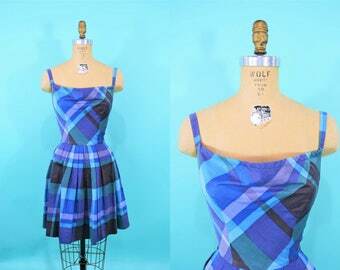 1950s wool dress | black fringe hem mod vintage dress | W 28"
1950s corduroy dress | blue fitted a line party cocktail vintage dress | W 26"
1950s polka dot dress | blue purple vintage button down | W 26"
1950s lace sheath | pink blue vintage cocktail dress | W 25"
1950s black dress | classic fitted collar solid vintage day dress | W 26"
1950s day dress | gray eyelet collar vintage shirtdress | W 25"
1950s floral dress | blue vintage rhinestone buttons shirtdress | W 36"
vintage 1950s wool dress gray black hourglass | W 23"
1950s pinup dress | AS IS black vintage wiggle dress | W 27"
1950s cocktail dress | black embroidered vintage formal dress | W 26"
1950s cocktail dress | blue polka dots juniors size vintage fit & flare | W 27"
1950s brocade dress | green satin ethnic cocktail vintage dress set | W 24"
1950s plaid dress | blue purple button back vintage sundress | W 24"
1950s lace dress | vintage cream cocktail party dress | W 25"